The firm, Ozark Integrated Circuits Inc., is a start-up technology company affiliated with the University of Arkansas. The company designs semiconductors at the Arkansas Research and Technology Park and will use the grants to design complex integrated circuits which can survive and operate on Venus’ surface, where the temperature can reach a hellish 500 degrees Celsius (932 degrees Fahrenheit) – or, as the old saying goes, hot enough to melt lead. 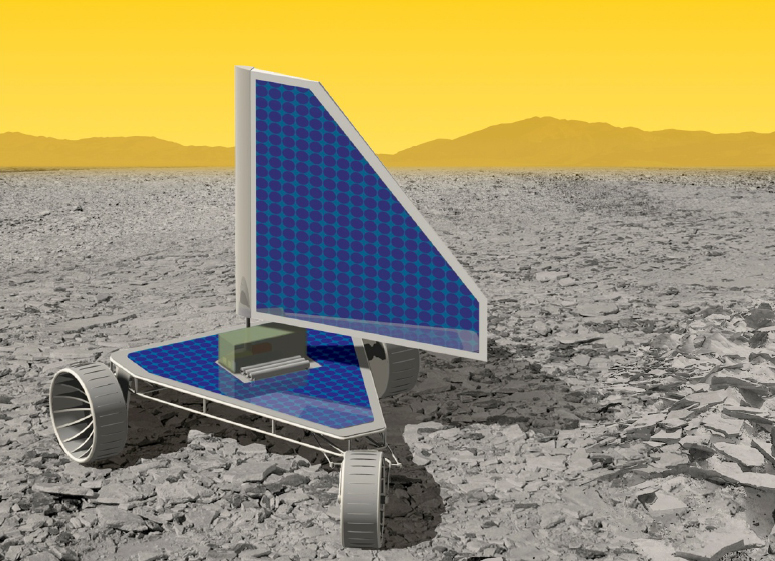 The circuits are being designed as components for a proposed Venus rover called the Venus Landsailing Rover. The silicon carbide-based circuits will be used in an ultraviolet imager and microcontroller for the rover. Examples of the advanced circuits being designed by Ozark IC to withstand the high temperatures and pressure on Venus. 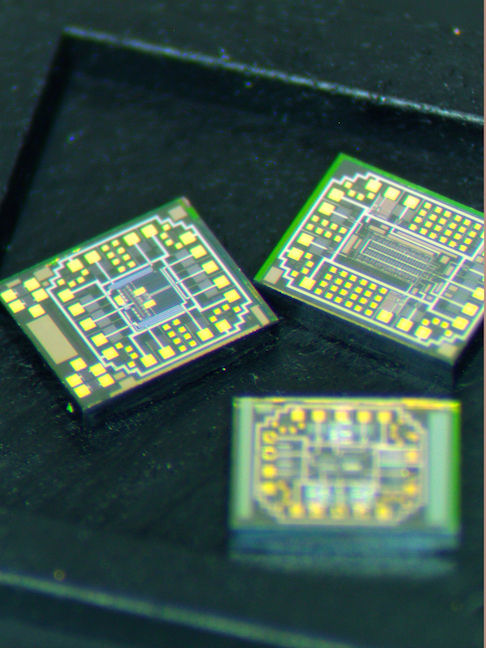 Photo Credit: Ozark Integrated Circuits Inc.
Ozark IC will utilize the integrated circuit packaging expertise and facilities at the U of A’s High Density Electronics Research Center at the research park. Circuit packaging is the final stage of semiconductor device fabrication. Francis, along with Jim Holmes, chief technology officer, has been working at perfecting the design procedures, tools, characterization, and modeling approaches necessary to create the high-temperature, high-voltage electronics capable of operating at temperatures beyond 315 degrees Celsius (600 degrees Fahrenheit). By contrast, rovers on Mars have had to be built to survive temperatures ranging from just above freezing to extreme cold. In the first grant award, Ozark IC will develop an ultraviolet imager which is ideally suited for planetary composition experiments and observing Earth from space. On Venus, the imager will allow monitoring of ultraviolet signals which will help scientists to better understand the Venusian environment. It can also be used for ultraviolet astronomy by observing and analyzing ultraviolet signals from other planets and stars. For the second grant award, the company will develop a microcontroller to provide real-time programmability for the proposed rover. Student research for this project will be led by Alan Mantooth, Distinguished Professor of electrical engineering at the U of A. Exciting: sailing on Venus! How cool is that? The project will have an exceptional public engagement factor. Breakthrough: this is great leap in capabilities for planetary exploration beyond any current capability. Unexplored: Venus is the epitome of an unexplored planet. We will go where no one has gone before. 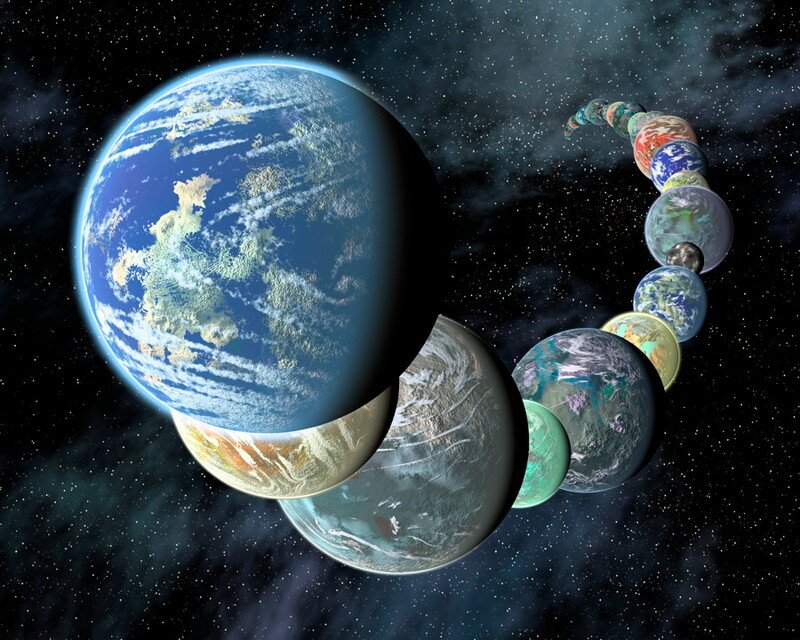 Far-term: we’re not ready to launch, but in ten years, we could be. Technically credible: the concept has a sound scientific and engineering basis, and a reasonable implementation path that will take us from technical dream to engineering reality. NASA Glenn is developing the electronics which can survive the environment on Venus for much longer than before, as well as solar cells. Even though the amount of solar power generated will be low due to clouds and thick atmosphere, it will still be enough for the rover. The rover will be ideally designed for operating on Venus’ surface, as it is sail-propelled (thus the name) to take advantage of winds. Surface winds on Venus are low – under one meter per second – but the strong atmospheric pressure (one hundred times more than on Earth) will create the force needed to move the rover. The landscape in many places, as seen by previous landers, is also ideal for landsailing, with fairly flat terrain and small rocks. Later, the NASA Glenn COMPASS spacecraft design team will do a detailed design study of the vehicle and mission overall, and in the final report will assess the design feasibility and benefits over competing technologies. The surface of Venus is not an easy place to visit by any means, but a landsailing rover like VLR might be just what is needed to continue studying this hostile but fascinating world up close. A formal press release about these grants will be sent out next week from Ozark IC/U of A. About Ozark IC: Ozark Integrated Circuits Inc. is a fabless semiconductor company that spun out of research at the University of Arkansas and is headquartered at the Arkansas Research and Technology Park. Its expertise consists of design of analog and mixed-signal integrated circuits for extreme environments – high and low temperatures and radiation.